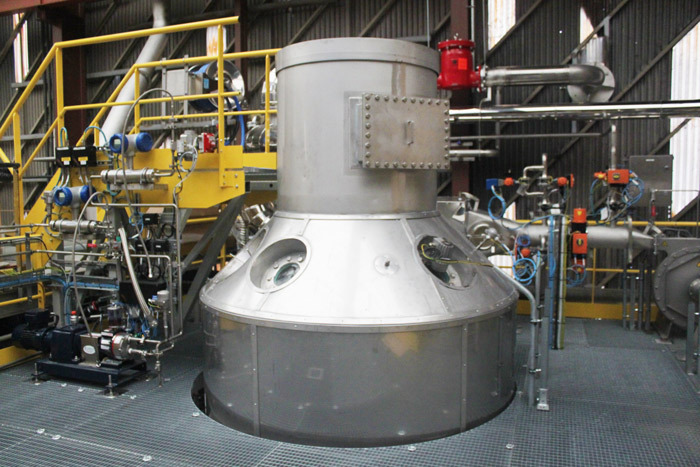 As part of the Axel’One industrial catalysis platform, a spray drying tool was received in January 2018 on the Axel’One Innovative Processes Platform. It is used in particular to shape nanoporous materials for a European project. This spray drying unit has unique characteristics in Europe. 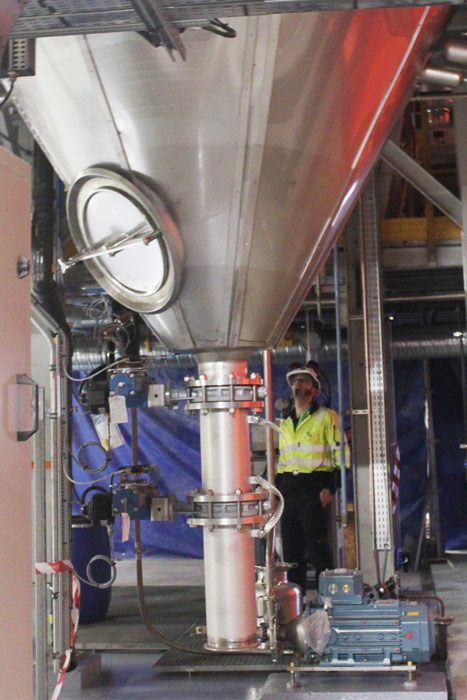 With a drying chamber 10.5 m high and 2 m in diameter, the unit can produce up to 50 kg/day of catalysts. Existing units only spray powders containing water and only operate under air. This new tool can use powders with organic fillers and with nitrogen for isolation. It is possible to work in atmospheres containing organic compounds (ATEX). Axel’One operates this unit and other synthesis tools and material shaping equipments (for adsorbents, catalysts, capsules, etc.) within the European collaborative project H2020 “ProDIA”. IFPEN, CNRS, ENGIE and Johnson Matthey (GB) are some of the partners. 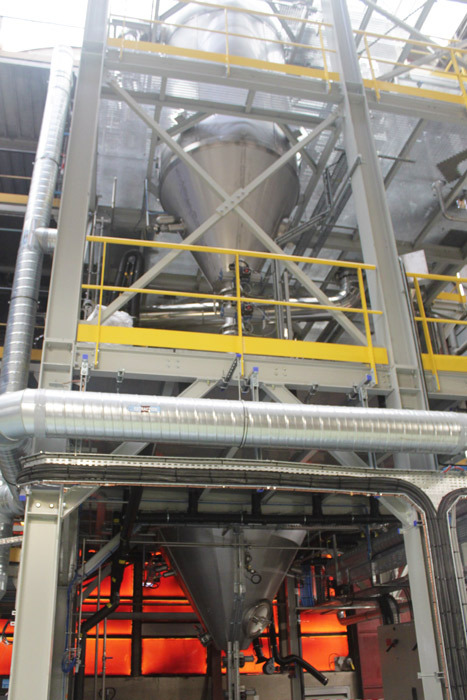 This project aims to develop pilot production lines for nanoporous materials in Europe. Axel’One is supporting CNRS and other European partners in the development of two pilot production lines to scale up the project to industrial scale. These new nanoporous solids are related to zeolites and are called MOFs (Metal Organic Frameworks). It provides breakthrough solutions for gas storage processes, controlled release of active ingredients or air purification. MOFs synthesis through atomization makes it possible to divide by four the production cost. It allows the possibility of mass applications such as natural gas storage for vehicles. As MOFs absorb methane they will limit gas pressure while increasing storage capacity. The start-up MOFapps will also offer zirconium-based MOFs adsorbents for air purification in particular through its ammonia protection cartridges. Its performance will be doubled compared to commercial adsorbents.